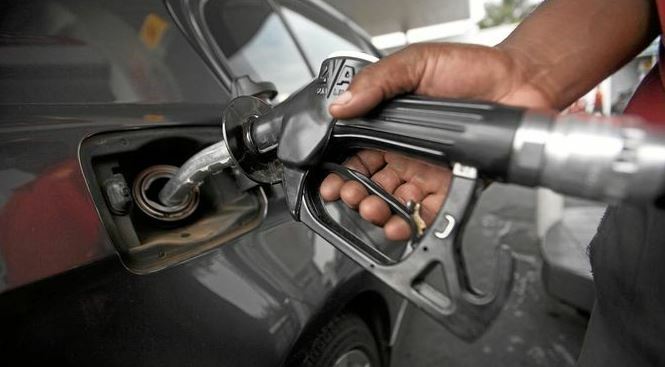 As fuel scarcity and hike in pump price bite harder in some states of the federation, the product situation remains stable in Calabar, the News Agency of Nigeria (NAN) reports. A survey conducted by NAN on Friday in Calabar indicated that majority of the fuel stations were still selling a litre at N145. Similarly, no queues were witnessed in any of the fuel stations visited by a NAN correspondent. A motorist, Mr James Ogabor, said that from the beginning of December, he had not bought fuel above N145 per litre in Calabar. “Even when some small fuel stations do not open for business, the big ones like NNPC, Con Oil, Oando and Mobile are always there for us and selling the product at the normal price. “I pray that the situation remains like this because any change in price due to scarcity will be very bad for us during this period of yuletide,’’ he said. Mr Lawrence Agim, the Chairman of Independent Petroleum Marketers Association of Nigeria (IPMAN), told NAN that the association was working hard to ensure adequate supply. Agim said the steady supply and stability in price showed the efforts the association made to ensure availability of the product. “We are major marketers’, we dispense what is given to us from the depot. “But, I can assure you that we will do our best to ensure that the yuletide season in Calabar is celebrated with adequate fuel supply to consumers,’’ he said. Mr Itaya Asuquo, the state Commissioner for Petroleum Resources, said the Minister of the State for Petroleum, Dr Ibe Kachikwu, had given assurances that the product would be available for all fuel stations. Asuquo also said that there should be no panic buying by motorists and other consumers, assuring that the state government was also doing its best in that direction. A commuter, Mrs Jane Agan, said any scarcity of the product would invariably lead to hike in transport fare. But panic buying has led to independent petroleum marketers taking advantage of motorists and other fuel users to increase the price within Enugu metropolis. It was observed in most of the stations that at both independent, major and NNPC stations on Friday, the product was available. However, the earlier panic efforts among motorists in the town had made most independent marketers to hike the price by N3 and N5 per litre. Mr Austin Nweke, Manager of one of the independent marketers’ fuel station in Agbani Road, said the slight increase in price was due to recent difficulty in getting the product from depots as well as the cost of extra days petroleum truck drivers had to spend. “Due to the difficulty in getting the product, you have no other option than to give some tips if really you want to get it in a reasonable time. “However, when the services at the depot improve and return to its normal efficiency level, the price will return to the official rate. Mr Chuks Ani, a Keke NAPEP Operator in Mayor Bus-stop, said it had been a yearly routine that fuel marketers and stations ripped-off Nigerians towards the yuletide. “Government must stand-up against this yearly exploitation since it is clear that this is a man-made artificial petroleum products scarcity,’’ Ani said. The Edo Government, in collaboration with the independent petroleum marketers, warned dealers not to create artificial scarcity in the state, even as pockets of long queues were being noticed within Benin. The state Commissioner for Minerals, Oil and Gas, Mr Joseph Ughioke, gave the warning when he led a monitoring team to some filling stations in Benin. Ughioke said there was no reason for fuel queues since “there are regular loading and discharge of petroleum products at the depot”. He also called on motorists to resist the urge to resort to panic buying, saying “there are enough petroleum products to last beyond the yuletide in the state”. IPMAN zonal chairman, Chief Solomon Ogbewe, after its committee’s meeting, also assured motorists that there was enough fuel to go round filing stations in the state. There are pockets of long queues in some filling stations, while others with the products even on the same location, experienced no queue. Some motorists said they decided to stay on the long queue because of the stable pump price of N145 per litre in those few filling stations. Reports from Bayelsa, however, indicated that major fuel stations in Yenagoa, the state capital, remain closed on Friday due to the scarcity of the product.